Detailed Description: Carlon Non-metallic mud box in blue color features polycarbonate construction to offer enhanced durability. 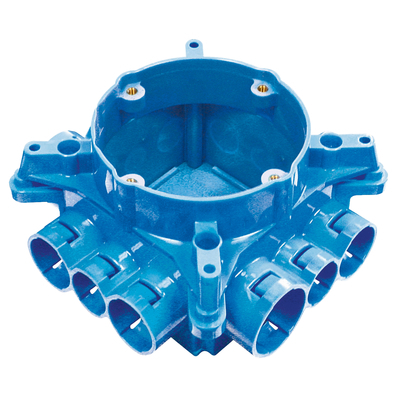 It comes with a ceiling ring and 12 integral connectors to offer better performance. Mud box has threaded brass inserts for convenient mounting of fan and fixtures. It is suitable for ENT flexible raceway and ideally designed in tunnels. Mud box is UL listed. Application Engineered and designed for use in Tunnel Form applications. 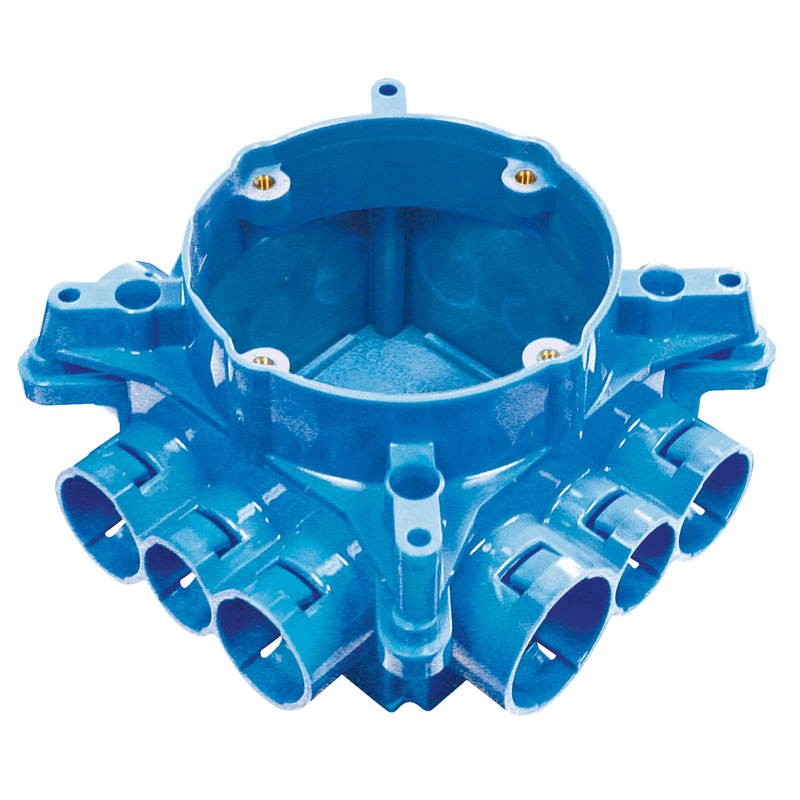 Catalog Description Non-metallic mud box with ceiling ring, ground lug and 12 integral connectors. Special Features Manufactured out of polycarbonate material to provide extra strength and durability.